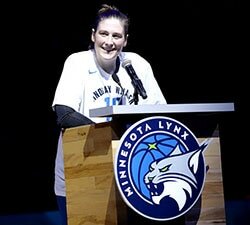 NBA All-Star Weekend is always a special time for those in the basketball world to gather and celebrate the game. 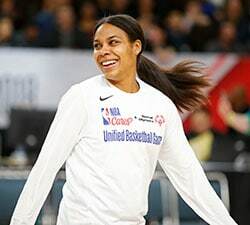 This year’s event in Los Angeles featured appearances from numerous WNBA stars, including Skylar Diggins-Smith, Candace Parker and Sue Bird. 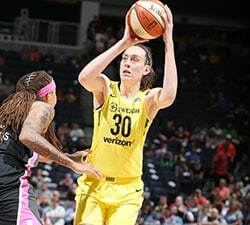 The WNBA’s representatives had a jam-packed weekend. They played in the Celebrity Game, assisted with youth clinics and charity events, and even judged Dunk Contests. Follow along here for social coverage of the best moments, starting with a throwback to the 2004 All-Star Game in Los Angeles. "That's how LA does it."